From vine to wine, grapes undergo a remarkable transformation. But sometimes this makeover results in vino that doesn't taste quite right. In a study appearing in ACS' Journal of Agricultural and Food Chemistry, scientists report that they have found a way to use tiny magnetic particles to remove off-tasting substances in cabernet sauvignon without altering its desired bouquet. Eventually, they say this technique could help remove unwanted flavors from other wines. All wines naturally contain substances that contribute to their distinctive flavors and aromas. One group of these substances called alkylmethoxypyrazines (MPs) produces vegetable-like aromas in certain varietal wines such as cabernet sauvignon. However, in excessive amounts, MPs can overwhelm the fruity or floral bouquet that connoisseurs have come to expect from wine, resulting in unbalanced sensory characteristics. These off-putting aromas and flavors often arise in grapes that are harvested early or are grown in cool climates. Vintners have unsuccessfully tried to remediate this problem by using additives such as activated charcoal and deodorized oak chips. One possible alternative is to use polymers, so David Jeffery and colleagues at the University of Adelaide wanted to see if attaching magnetic nanoparticles to polymers would allow them to isolate and sop up MPs and easily remove them from wine. The researchers tested magnetic polymers in cabernet sauvignon spiked with a perceptible amount of a particular MP, which produces a strong green bell pepper aroma. 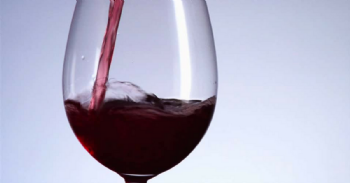 Using gas chromatography and mass spectrometry, the research team concluded that the magnetic polymers removed the compound from cabernet sauvignon more effectively than polylactic acid film did. And according to a group of taste testers, the new approach removed these molecules without dampening the wine's distinct aroma intensity.